…though not as painful as last night, it seems. There was also a flash-n-boom in Northern CA a day or so ago, with a number of theories as to origin. We’re here to tell you it was energy from a portal venting Wave X energy. Happy 2018 Winter Solstice, everyone! Those V structures are interesting. Good thing we don’t have to pay Merlin appearance fees. I believe the airport and boom thingie in the air is related to the chemtrail planes. It has been a deadline taking place… If they don’t stop spraying, they will be “taken out”. Message from our family upstairs. Dat is a darn cute cat. I’m not far from Gatwick, well relatively speaking! I hope it was a benevolent ET, if so, Hello up there! I made the mistake of telling a family member that the drones were actually a ufo and they are now ‘worried’ about me! I really do need to stop talking, just carry on playing the game until the truth is completely irrefutable….Hoping that happens soon! Yes, we have this, too. It used to be more difficult, but now… everyone makes their own choices. 🙂 It’s their issues to sort out, it would have happened sooner or later and there are no coincidences. Pretending there is nothing to see at this point looks more like insanity to me. I just got banned from two online forums on the same day, for stating truth and refusing to take it back despite threats from moderators. Part of what makes this exercise so damn challenging is definitely standing up for truth in this web of smoke and mirrors while not freaking out or being stoned to death. Not everyone’s cup of tea, the majority couldn’t do it if their life depended on it. And that’s how I know that we’ve all been there and done that, because it obviously takes A LOT of practice to get here. We don’t do that anymore — except here, on this blog. People will find the truth if they want to. If they don’t, they won’t. It’s not like they’re lost or anything. All will go where they need to to learn. You don’t have to proselytize if you don’t want to. My goal was simply to share an alternative perspective and shine some light in there, hoping that it would encourage others to do the same. But it’s very difficult to pull off these days without attracting angry mobs. I believe everyone who tried, including Brother J; had similar experiences. Being thrown out head first might well prove to be a blessing. J did what he did to: 1. Show that there is no death; 2. Show that he’s human and that we can do all the things he could do, and 3. Take the heat so we wouldn’t have to in the future. J is now a J-filter working in billions of people (which is amazing if you think about that level of spiritual OOMPH), working so you don’t HAVE to get thrown out head-first! Sifoo, I personally appreciate your authenticity and tuning into the truth vibration. Keep it and express it just the way you do)). 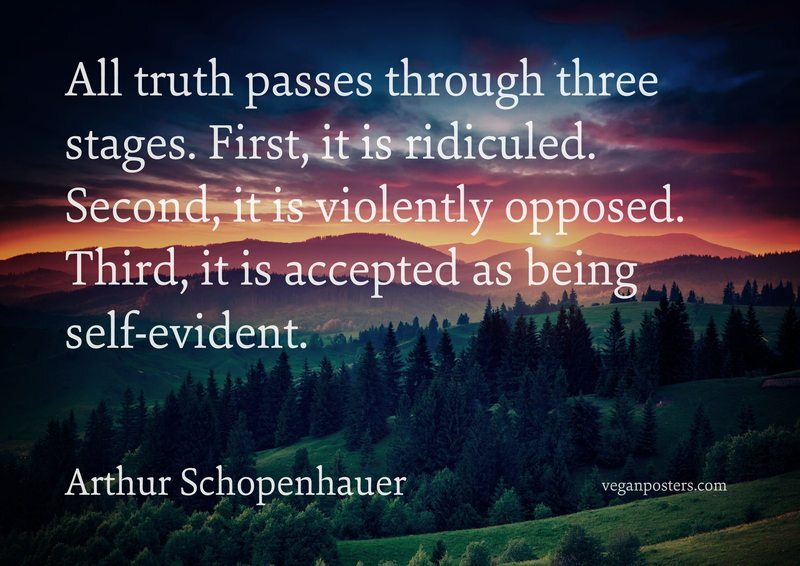 I have recently, in a rather spontaneous manner, began to abruptly stop telling people (in the middle of a key sentence) all I could say or inform them about on the topics they asked me about and instead started insisting that it’s way more important for them to do their own investigation on the subject if they really wish to get to the truth. To my surprise they all became very interested in and very open to what I know about the topic in question. Very funny. Ooh I feel rough and the kittens going crazy! Aaahhh! I just lovesses cattssess. No wonder we had that hellacious wind storm yesterday in the PNW. I was apparently correct when I posted ” winds of change” yesterday. BTW, since the power is still out, I ventured into the outside world. Went to a restaurant and the co-op. Verrry animated people everywhere, and very loud. I somehow was able to remain calm and loving. (A big change from my usual crotchety self) Progress being made. Peace, love, and light. Nyuck, nyuck, nyuck. Sorry wrong commentator. I never get that right and I am left with the guilt of explanation. It was for J. When I was a child, my brother and I decided to look out of the window on a clear Christmas Eve’s night. We were exited we might see Santa and his sleigh. At that exact moment we saw something else, something very different. A few hours ago in Stonehenge, UK. Wow. What a Solstice experience for those at Stonehenge. Myself and and my partner said from the start that there was a lot more to the Gatwick thing than the official story. Yes complete agree. I posted earlier that I arrived there at 0430 on Thursday for a 0700 flight. After joining very long queue first available flight was Saturday. Spending 2 nights there didn’t appeal and my whole being felt jittery and i couldn’t get out of there fast enough! Mind control or some type of experiment? Everything felt ‘off’ didn’t have breakfast or a coffee despite the long drive there and felt very strongly that I needed to get out immediately. Amazing. Could it be a bluebeam hologram from the ptw? could be sky lights. they do that ALL the time in HK for venue promotions. Has any one else felt nausea over the last 3 days accompanied by this funny and a bit unpleasant sensation in the head like when you spent too much time on a whirl/marry-go-round on the playground? Today I woke up at 5am (!!!) because of it! Apart from the fact that I am feeling it on and off during the day for no reason. Wave X? Schumann? Chain of earthquakes in the center of the Pacific Ocean? An underground volcano 20 thousand miles away from me quietly erupting? What is it this time? Yup. It comes and goes. Yes, this is currently happening to me and has been for the past 1.5 days or so. This also happened to me in almost exactly the same way about 3 weeks ago, right before the “black doorway of Dec 5th” that I believe was described by Lisa Gawlas (and of course the CATs and Ms). Symptoms are pretty much exactly what you described – it’s pretty bad for me this time around, but not nearly as bad as the earlier one. One of the reasons that I’m sure these symptoms are related to energies rather than some “simple” physical explanation is because I’ve always had a weak stomach, and as a result I’m very very careful about what I eat. I also take certain prescription meds as needed for nausea, but they aren’t helping now, nor did they help during that earlier blast of energies. During the previous episode, I posted here for the first time (since it became nearly unbearable and I needed/wanted to have some idea of what was going on) and was given a suggestion by the CATs (I apologize for not remembering specifically which CAT – I tried to find my previous comment just now but was unable to): to ask/invite Brother J to enjoy the energies with you, and then try to breathe through them, taking deep breaths while thinking “source” as you inhale. I hope that helps, and hope this latest wave of energies passes soon as it’s very difficult to get any work done in this state. Hang in there. Sending you good vibes. Stomach is related to stress. What helped me: ashwagandha, tulsi, nerve tea and deep breathing. Restorative yoga preferrably hot yoga works miracles on the body/oxygen level as well. And of course the Cat mantra: Source. It eradicates fear and allows you to trust completely, which adds on to Antonia’s comment a bit further down below about doubt. Yes. I was pretty disoriented yesterday. All the noisy Christmas songs in the shops made me wince. Do they really think it helps sales. Makes me want to leave asap! I run these Energies and much higher, *constantly*. For 6 – 7 years now. My team nearly killed me. Died on many other (now-collapsed) Timelines, doing this. Suicided as well. A variety of times. Can’t have ANY blockages, when you are sentenced to doing this. What do you mean, “sentenced to doing this”? Don’t think politics. Think Source. Indeed very strong and intense energy but seems that doesn’t have any affect on 3D ppl,they still partying like every year ! (please ignore the bullsheet from the “journo” & the “scientist”) I just thought the images were startling. How do I feel? I’m going to tell you! Vertigo. Internal body spinning whilst seated. When lying in bed, “waves” rolling over me from my feet to the top of my head. Disconnection from my industry peers. What happens to them really does not bother me. Compassionately dispassionate to be more precise. Ringing in ears has been constant since child-hood, so I just incorporated this into “being me”. Yes, I know I am being upgraded. This weather is not normal “Summer in Melbourne” weather. Normal “Summer in Melbourne” is hot dry heat & the next day is raining and/or low-20’s degrees. The following day is hot dry heat & the next day is raining and/or low-20’s degrees. Not this year! There have been only two days of dry heat for a few hours only, & then the temperature rapidly declined to mid-to-low 20’s. Tomorrow (23rd December) is 12 (in Summer???) to 24 degrees & sunny. There have been a number of days where the temperature has been hotter in Melbourne, compared to Brisbane. The lowest that Brisbane would go would be 19 degrees at 6am (extra blanket or be chilly in bed) & it would be a cool 19 then climb rapidly to 30’s for the rest of the day. You have All been prepared for these times, directly and indirectly, consciously and subconsciously, Your greatest Shift is NOW upon You, commencing in less than 48 hours. You were given the last 9 days to make choices consciously and decide what timeline You would be continuing upon, where Your thoughts were focused toward, in what You would enjoy in Your near futures, is Your choice. You made great choices to align You with a timeline You would be comfortable residing upon, Some chose to go higher than the comfort and more readily slide into their Divine Purpose, tired of the “old”, detaching and simplifying/initiating their detachment process. The detachment process was not limited to, but included, clearing obstacles, physical detachments from society and even relationships. Although Your quest may have been lonely at times, You chose the priority, YOU. THE SHIFT AVAILABLE IN LESS THAN 48 HOURS, will include a “tier system” of temporary timelines, temporary could mean years, depending upon the choice You have freed Yourself to slide into. Some of You on these higher timelines Created, will have DUAL STATUS, being able to have another You on a temporary basis UNTIL YOU ENTER YOUR TRIALITY FULLY. In some higher designations, some of You are given another IDENTITY WITH A PAST HISTORY THAT IS DIFFERENT FROM WHAT YOU REMEMBER. Your Children remain fully accessible to those of You that chose that as You ALL Ascend. Some of You will be living in TWO DIFFERENT REALITIES AT ONCE. Those of You enjoying that “status” will be provided for at the higher level of which You may utilize modestly in the lower level when operating there Divinely Tasking. You RETAIN ALL memory and KNOWING of exactly what occurred with You, and what Your Higher Divine Purpose is, and introduced to Your High Light Comrades, of which most of You have NOT DIRECTLY MET YET. Many have received further appropriate UPGRADES of the Physical Vessel to assure their POSITIONING ON THEIR CHOICE OF TIMELINES, in the last 9 days. Some of You were restricted to certain geographical areas for PROPER PLACEMENT/ENTRANCE into Your NEW TIMELINE. Some of You were strategically Divinely placed/located to assure the PROPER ENERGETIC ANCHORS/CONNECTION of the overlaying timeline that accommodates the second reality, of which You will have FREE access to and more of a Free Will. You WILL BE operating from this Higher Timeline to CAUSE AND EFFECT the smooth transition of the lower timeline and continue that part of Your mission/purpose. Feminine are encouraged to strengthen their Masculinity to Divine Warrior Status and stand invincible in their Light.Power Yourselves to the fullest being the conduits to integrate THIS SHIFT. Masculine, stand in full support of the Feminine Aspect. THE TIME IS NOW. Thanks MrM for this . I appreciate what Rick is saying, but, frankly I don’t need another Priest to tell me how it’s to be done. Balderdash! I would use stronger and more explicit language, but ,my Momma done taught me better. This is for a job. Monetary substinance. I really want no part of it. When I looked deep and found bankers for this plan. . . Well I only know who I am. What I see and how I exist is certainly a TWIST. 9 luv it. Luv me too. You choose your priority . . . You. Fractually speaking. Ya I need new clothes. LOL. Thank you Mr m thank you Rick. I have no idea what exactly you wanted to say or whether you wanted to say anything at all. I don’t think I fully understand this comment. “We give You more of Your memory back” ??? Who are “we” in this Rick’s monologue? I don’t buy into it. NOBODY decides for me or others or moreover -instead of me how much of my own memory or choices I am (or others are) supposed to own or to make. It’s a BS. Given the unpredictable situation on this particular planet, I’d say most of the choices are made AFTER you arrive here and as you go. I don’t want to comment the rest, but what this Rick preaches is not accurate- to say the least and to say softly. ‘We’ as in Rick’s post are what is being referred as Universals, Brother J and likes the good guys. You need to understand first is that current humanity is mixed bag of ‘higher ups’ descended to this lower vibration and ‘lower beings’ ascending to higher vibration. If you feel offended by the statement you quoted simply means you are a higher being descended to this lower vibration and your inner sense of sovereignty is alive or never died. But there are countless others who have never been sovereign ever on this planet or in very-very long time. The above is just a short text , I can explain it in detail in pages, but the comments are not meant for that. But I hope you get what I am trying to convey. Another bootstrap attaboy. Triple energy. Hm. Guess we should get off the eggnog and get motivated. Hm. Thing is, there are infinite timelines. Some may become unavailable for some… but we have no idea, really. Each timeline is a parallel universe. Numbering them is kinda crazy, as there is infinite variety. This is a small glimpse into our own Mind, which is borrowed from SOURCE, and… well, SOURCE is infinite. And mysterious. And unknowable. And so are all these timeline permutations. The omniverse is mental. Still, his Guides may have an inside track on this. How is this not ONE timeline that ALL are on? And this idea of going to New Earth, everyone just jumps ship? Is that the plan? Is this place already damned & accursed to the end? I write this totally consumed by the possibility for I feel as if the choice is but an arms length away, yet how to feel about abandoning here for there, now for then, or what have you, seems a question that shall haunt me infinitely. We have no idea how it works! No idea. There are too many permutations — and indeed, we are not being told certain things that might interfere with free-will choices. Regarding the new earth, when your vibration reaches too high a level to exist in the 3rd/4th density, you will go automatically to the 5th density. This will likely be at a point in ‘time’ agreed prior to your current incarnation, but it is really dependent on your vibrational rate so it depends upon how much of the incoming energies you are integrating and more importantly on how aligned your thought processes are with LOVE & universal law. It’s likely that once in 5D you can learn to master your vibrational rate in order to return to 3D to help others if that is your choice. …A very windy talk where simple things are made complex (why???) which gives an impression that the guy knows the subject but he really doesn’t. It’s more like he is giving a description of a lengthy recipe while having no ability and no experience in cooking. Because if he really did have such ability and experience, he would present this topic in a very different manner. I have another question though. Why does the same person bring to this blog (nothing else but) the same very article (by David. Topi) again and again? By now, it has been the 3 time in a row. What’s you true goal? Just asking…. Oh. That could be our fault. Has the same article appeared three times? We’ve been pressed for time and approving comments and some of us may have okayed the same comment without know it. No guys it wasn’t your fault at all. That particular commenter, sometimes under other names, would deliberately bring – in 3 different discussion threads attached to 3 different posts of yours, the very same article or large chunks of it. Hence I asked my question regarding this commenter’s obsession with this particular Mr. Topi article and compulsive posting of the same article (or its parts) again and again on this site. I don’t understand the purpose of you questioning the poster? are you attempting to censor? do you hold expectations that others conform to YOUR guidelines of what is acceptable or not? or what YOU agree with or not? why do you expect someone to provide you explanations. since you ARE insisting on one. i will give it. as i know I AM accurate. it is the SAME explanation for ALL of us. HE/SHE DOES WHAT He/She DOES >>> BECAUSE He/She DOES it. it’s a funny thing, well not really, there is nothing “funny” about control/manipulation tactics, even if thinly disguised or attempts to be subtle. so let me rephrase, it is a curious thing that people hold expectations that others NEED to explain … well ANYTHING to them at all. Since they don’t. sometime last decade i got pretty bored with this “need” and i sat everyone down so i could do this JUST ONCE. i told them that i would explain myself this ONE time, so please listen. in response to WHY i did what i did? as it is for EVERYONE on the planet. i DO WHAT i do >>> because i DO it. unless i ever garner true interest in learning or desire to understand deeply out of love from someone? never, ever EVER do i waste time that is precious or energy that is better put to other uses in indulging demands such as this. i hope this cleared it up sufficiently for you. Hey CATs! I’ve made through this just fine. It seems Step 12 fried you, but as far as I’ve gone, it was nothing more than a few headaches, exhaustion, and LOTS of ‘butterflies’. Upgrade complete! To be honest, November was MUCH harder on me than this month has been so far. So… what now? Is the Event finally looming in the horizon? Have faith you can heal yourself. On the solstice, doubt was the start of the day. Outrageous bill from auto mechanic, wife was sick & very verbal, daughter drama, in law drama. And I lost my turtle shell, but I found my kitten. And by late after noon everything slowly took a turn. Today has been much better, me and the kitten went for groceries while my wife is recovering. Much Peace/Love to All, topped w/A Merry Christmas full of Joy. Keep the Faith in Yourself! Hugs. Survivors understand at every moment at hand how to utilize their gifts. Gifts are shared. Every moment a gift shared. Hugs. And the real secret of levitating is forgetting to fall down. It still boggles my mind though; the idea that all these possibilities and capabilities are right there in front of my nose; I can feel them, but I can’t grasp anything. I’m sure I’m not alone in feeling a shade of sadness and longing when remembering how it feels to soar through the air, cruise over tree tops, trace valleys and mountain ridges. Try asking friends and relatives if they fly in their dreams. I have, for quite a while; and everyone, without exception, knows what it feels like. This summer my son told me he had decided to do windsurfing. He said, To kill the fear I have of heights. Thanks man, makes me want to do that. I’m gonna see how I can make it happen. Allow me to share the following video, it has the same zest of life, 4 minutes of pure passion. Hope you enjoy it! A dizzy spell later, now ye olde Tomsk SR is white-walled, well energy is high most certainly. Yippee-ki-yay! Well, My Sweet, know that it’s all getting better. That was not a flippant response, btw. Use baked goods to bring people together! Well, as the day progressed, I find that I am barely functional. I’m operating in several realms , the most unreal seeming is this 3d one. I can barely abide the coarseness of it. Since the power came back on this morning, I’m going to take a hot shower and climb into bed to continue the real work. Ever onward! Fell asleep at my keyboard, woke up in New Earth. I wrote somewhere once in a dream I had one time. My last comment for today, I promise! So what is up with the “V” shape lately? It’s the first time I’ve noticed it mentioned here…but in the last week I’ve seen it in earthquake maps…coronal holes on the sun…just curious if there is a meaning for it! Thanks and Blessings! Actually, in those update graphs, I think it’s an OFF/ON indicator. Or the Universals in those thought ships were closing one SOURCE container and breaking open another at a different frequency. I dunno. We’re getting images that we don’t fully understand, as yet. I KNEW to walk past it the same way most who know me would KNOW i wouldn’t. His reaction was beyond intense. Not just shouting as loud as he could (in Macy’s no less) but actively attempting to incite people there against me. IF i hadn’t already been through as much as i have? I would have been shocked. Then allowed him to rage as i quietly walked away. I could FEEL his hatred. And it took a while for me to send him peace. But i did. Aa i understood that the test was his and mine. I released and forgave..
That’s the choice being brought before us again and again. Our choice will determine our experience.. And timeline we shift to. I have seen members of my family, super nice, caring and loving people turn in an instant with nasty comments when his D.Trump’s name was mentioned. I am sure mind programming has a lot to do with this. Lota, you walked away with gracefulness. Beautifully done. Yes, it is “mind programming”, and it comes off the MSM 24/7. News programs and their anchors, on EVERY TV channel, do nothing but misrepresent reality and invoke negative emotions about Trump and conservatives in general. Once viewers become entranced, it is almost impossible to break the hypnotic spell. You pretty much have to grab them and shake them by the shoulders in order to wake them up, and then it probably won’t last long since it’s hard to stay clean if you live in a mud wallow. As soon as they turn back to their favorite media, they just get reprogrammed. My spouse is disabled, and doesn’t have much to do except sit in front of the TV for most of the day an imbibe this poison. “Somebody should shoot Trump!” he said yesterday. “What exactly did he do to deserves that?” I asked. My spouse sat there for a minute, but couldn’t really come with an answer, so he just sat there, stumped. The entire mass media is full of low-vibe and subtle occult symbolism too. Go the Vigilant Citizen website and you will see a lot of stuff that passes under the radar and creeps into people’s mind subliminally. Since everyone on the planet is attached to mass media in its various forms, on social media, cellphones and TV, the whole planet is being manipulated in a really frightful direction. Yeah, like I said to Sifoo, you don’t have to procelytize. People will come to the truth eventually, in their own way — on their own path. There’s no reason to put yourself in harm’s way. We need to not participate in separation (which is what the PTW wants, and why that guy was wearing that shirt); if we can’t find ways to bring us together, we need to just take the path of least resistance and let peace reign. Don’t forget that, at this level, what we put out there is tripled, so be careful, be positive. Foment love. Phew! We blew through the last 2 days, didn’t we. Big release and relief! Congrats, ALL! Cats and ms, so you said that the event will definitely happen in 2018, do you still see/are sure it will happen within the next 7 days? We saw one thing six months ago, all of us did — Xmas trees and smiley faces and a wall of energy — but now… well, we aren’t seeing The Event in the near future. That shouldn’t be that alarming because we can’t see ANYTHING in this energy storm/timeline kerfuffle. Guides are being quiet, which is unusual. The calm before The Event? What we *are* seeing is lots and lots of ET activity, light beings in dreams, GIANT white ships going into the earth, happy skies, a whole new group coming to the fore (who still haven’t green-lighted their mention, but they will), etc. If we could pinpoint a date, we wouldn’t, as the PTW might use that as an excuse to try something bad… though those things are drying up as the ca8al is corraled. At this point, we’re gonna have to say that what we saw back in July was the September energy and the “black doorway” and the recent Step (12) we’re (still?) going through. When you do a reading and you see a white wall of energy in the future, you think it’s The Event, but it’s ALL The Event. You can’t swing a LIVE CAT without hitting a white wall of energy. Sorry, this is why our site is free. Btw, we just confirmed: the sun is not only a gateway (which we all already knew), it is a SOURCE gateway. That is, as a spirit, you could go inside the sun and BE in SOURCE. Return HOME. This is very special knowledge. The earth itself is very special, which is why the Universals holding the SOURCE/Event light in escrow for us are being so careful. What is happening is a very very big deal and Spirit wants to make everything perfect. Because of this there might be some delays, as perfection takes time. Do you have somewhere else you need to be? Awh, c’mon, don’t go there — they ALL end up saying that, on the Lower Timelines. Uh huh. I’ve been doing and BEing that, since 2012. Completely. It still hasn’t gotten me HOME, as we are all still tied to this constipated Earth Collective. The F* out of HERE, immediately, and in my physical-excruciating-pain & suffering-free higher dimensional “Dual Reality” State of Being, at the very very least….the ones that Rick Jewers described in his Timeline update. Some good info in this video, for those who are interested. Skip the irrelevant parts where the ranch visitors share their surprises and impressions. At 28 minutes, James mentions lion beings from Sirius coming to earth to help out. Would that be the CATs??! Aaah, I’m sorry. Send here up here. We’ll have lattes, Louells’s sour cream cookies, and chit chat. Then I’ll send her out to feed the chickens and plant a flowering dogwood since none of you have appeared yet to help. You mean you feel like that (see the pic) when she’s around? Rajneesh on the Galactic free press this morning should be read and retained. Good common sense, that is not very common. Peace in Harmony. Ok.. Here’s a ternie bit of 3D help to survive the holidays with our “normie” family. We were all subjected to a LOT of programming, social and otherwise. If action wasn’t taken (or found or sought, etc) to either dispel it or introduce something else? Then “something else” CAN’T be “put out” right? AND their actions, words choices can ONLY accurately reflect THEIR perspective. NOT ours. Therefore what they say or do TO us? Has EVERYTHING to do with them. And very little, if anything at all, to do with us. so when we react to what they say or do TO us? As though it actually HAS anything TO do with us? We’re no longer operating in reality. An example is someone wearing purple sunglasses. EVERYTHING they see has a purple hue to it. For us to react or relate to what they say or do to us, AS having ANYTHING to do with us? ummm… NO! We are NOT purple! Being aware of this and being mindful OF this in ALL interactions is a HUGE help in staying calm and retaining personal power. AND staying balanced. Because it has eliminated being an emotional yo-yo. Where if someone said something”nice” to me? Then I’d be happy! But if it was mean? Then sad. ONLY someone in pain CAN produce painful outputs! If i at all can and in my right mind. Will invite them to sit and have a cup of tea (ok coffee) and try to help transmute some of that. NOT always. But that’s the idea anyway. Either way. They don’t get to “vaidate” or “invalidate” any longer. And when that “hook” is removed from inside of us? It’s harder TO “get triggered” because there’s nothing to hook onto. Its easier to choose to walk away when you’ve correctly assessed the output from someone as very much THEIR issue. Than when you’re relating to their behavior as though it actually has any validity pertaining to you. You also start to choose who and what you will explain. People can stand on their heads and demand explanations you no longet feel obliged TO give. Ir the “threat of disaporoval” now takes on an amusement instead of serious issue. ACIM calls this an authorship issue. When we operate under the mistaken notion that Who we ARE? CAN be put in question? We enter into fear. That is why the ego us so fragile. We “made” it. But that is NOT Who We ARE. We are ONLY – AS Source Created us. And neither we nor another has ANY ability to “change” that. Not by words or thoughts or actions. And some are just so darned zealous about doing their “job” well and with consistency, right? please my wonderful *cat’s* I have a question: I live since five years now with my new lifepartner and his daughters are spiritual with meditation and more in a shamanic way. My son is also spiritual. My two daughters not. Why this difference? I can feel this energies since 1996, when I started with powerful meditations with the Plejadies. You are to guide others. soulscapes and landscapes of the emerging merger of withins without eventing boundlessly.